The fallopian tubes connect the ovaries and the uterus. 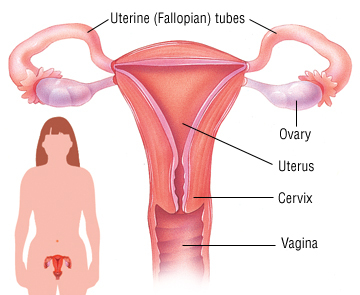 Fallopian tube cancer occurs when cells in a tube multiply out of control and form a tumor. As the tumor grows, it presses on the tube, stretching it and causing pain. Over time, the cancer can spread throughout the pelvis and abdomen. This cancer is very rare. It is more common for cancer to spread to a fallopian tube (usually from an ovary, breast or lining of the uterus) than for a new cancer to develop in it.